She is a well-known leader of Election Protection, the nation’s largest nonpartisan voter protection coalition, launched in 2004 to assist historically disenfranchised persons to exercise the fundamental right to vote. Ms. Arnwine has received numerous national, regional and local awards including the National Bar Association’s Vince Monroe Townsend, Jr., Legends Award (2014) and the Leadership Conference on Civil and Human Rights’ Hubert H. Humphrey Civil and Human Rights Award (2013). 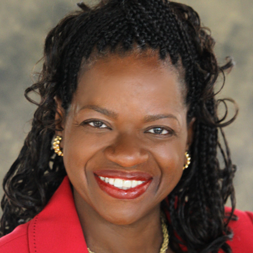 She is also the recipient of the Feminist Majority Foundation’s Fearless Trailblazer Award (2013) and in October 2011, she was one of five recipients of the prestigious Gruber International Justice Prize for her excellence in defending and promoting civil rights and gender equity throughout the U.S. Ms. Arnwine is a frequent conference orator and has penned numerous articles and is regularly quoted and featured by national and local media outlets. She is board vice-president of the National Coalition to Abolish the Death Penalty and serves on the board of directors of MomsRising and Independent Sector. She is an honorary board member of Welcome.us and is also a member of the American Bar Association’s Section of Individual Rights and Responsibilities. Ms. Arnwine is a native of California and was raised in Louisiana along with her siblings. She is an avid gardener and also enjoys mentoring youth and aspiring attorneys, reading and spending time with her family. Ms. Arnwine resides in Prince Georges County, Maryland, where she is an active member of First Baptist Church of Glenarden.